Surprised? You shouldn’t be if you have been following me. And who is the potential killer? 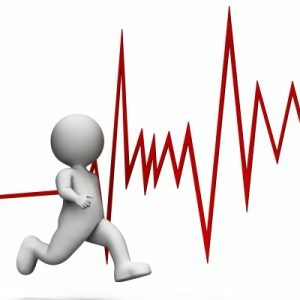 None other than the number one killer risk factor in the world…high blood pressure. For most of us this killer has been silently stalking us thru our daily lives. Per some of the latest statistical health data this condition affects around 78 million Americans. The only way to avoid becoming a casualty of this killer is taking the time to understand how it works and what can be done to thwart its attack. The fact is we lose almost 700,000 Americans each year to this killer. First, lets get some terms defined. High Blood Pressure is just a reading that can be taken and reviewed by a qualified health provider (Nurse, Doctor, or Practitioner). The condition creating the high blood pressure is really cardiovascular disease (“CVD“), or sometimes called Coronary Artery Disease (“CAD“). Let’s call it heart disease for short. So do we have it all straight, heart disease is a condition that occurs when the arteries that supply blood to your heart become hardened, and clogged with plaque. It is the number one killer in American, and yet, many of us still have no active plan to protect ourselves from this threat. Both smoking and excessive use of Alcohol have been linked to heart disease. How Can You Prevent this Attack? Regular check ups to control your diabetes risk and check your blood pressure. You know the Health Risk – Now, What’s your Wellness Plan? If you found this Article, then you know you must create a personal wellness plan that works with your doctor, so you can focus more on lifestyle skills than just pills to treat symptoms. It all starts with understanding the risks – high blood pressure increases the risk of developing an strokes, heart attacks and aneurysms. High blood sugar levels increases your risk for Type 2 diabetes, excess weight and increased medical expenses. Two primary factors, an overly sedentary lifestyle and a poor diet can be changed with help from fitness & wellness coaching and your commitment to preventing attack. Whether you are young or old, male of female athletic or not, this is one fight you can win…if you want to win. “FastStats – Leading Causes of Death” -National Center for Health Statistics. “Keeping Fit: Overcoming the No.1 Killer Risk Factor…” -McKenzie Carlisi. 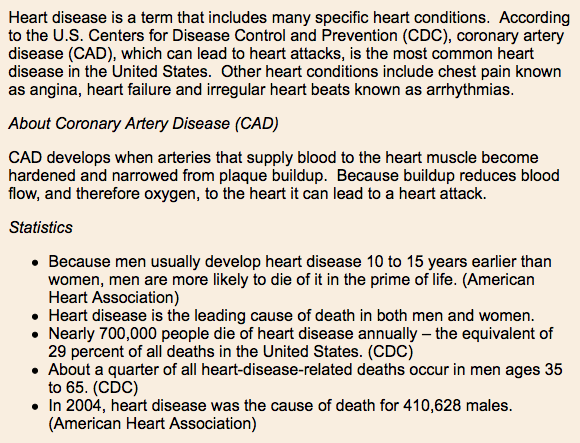 “Men’s Health – Top 10 Causes of Death in Men” -Illinois Dept. of Health. “These 13 Fitness Fads Actually Work” -Jackie Veling.